award-winning wines, local grapes, and quality service. We offer free wine tasting from the time we open until we close. Once you’ve sampled a few, enjoy a glass or bottle while you browse our fun merchandise and gift shop. The patio is also a great place to enjoy a glass of wine on a sunny afternoon! Wine is what we're all about! Whether you like sweet, dry, red or white, we're confident that you'll love our award winning wines! Depending on the time of year, you might even have a chance to try some of our coveted seasonal wines! There's always something going on at River Bend! 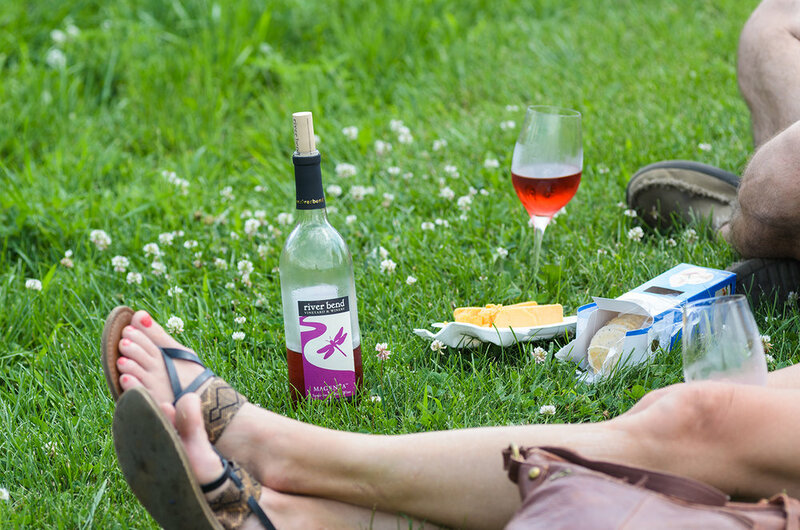 Throughout the summer we have music, pizza, wine releases and other fun events. We even have great events when the leaves start to fall! To view our upcoming events, click on the button below.